The Center for Family Medicine, Wellness, & Aesthetics is a state of the art medical facility which integrates the traditional "Family Medicine" with the preventive "Anti-Aging Medicine" and the beautiful "Aesthetic Medicine”. These services are provided by Dr. Tripathy who is a Diplomate of the American Board of Family Medicine and is a Diplomate and Fellow of the American Board of Antiaging & Regenerative Medicine. Dr. Tripathy and his staff provide high quality Family Medicine services using a sophisticated Electronic Health Record System. Various office-based procedures are also done in the office. His Anti-Aging Medicine Practice emphasizes some of the most promising areas of preventive and wellness medicine including: lifestyle basics, nutritional therapies, bio-identical hormone replacement therapy, body & brain fitness, stress reduction, diagnostics for anti-aging medicine, biological age markers assessment, environmental toxic evaluation, aesthetic medicine and non-invasive skin rejuvenation, evaluation of the immune system to ward off or prevent diseases of aging: cancer, stroke, diabetes, and dementia. When you feel good you want to look good! Beauty is looking great at any age! 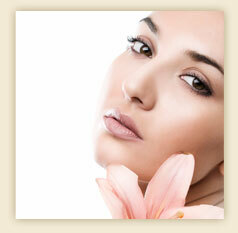 grade skin care for maintaining healthy looking skin. Dr. Ashok Tripathy M.D., serving Houston and all surrounding areas. Copyright © 2006 The Center for Family Medicine, Wellness & Aesthetics, All Rights Reserved.